Want to learn how to make fresh egg-pasta, the specialty of this food-loving region? Then take a lesson with us: you will learn how to prepare Bologna's fresh homemade pasta the old-fashioned way, with rolling pin and board! Because the Bolognese specialties are home-cooked, you should learn to prepare these the way Mammas and Grandmas in Bologna do: in a home kitchen. Nonna was able to make delicious meals without having to go to culinary school, so can you! Taste of Italy offers traditional, "nonna" style Italian cooking in a cozy home setting where you'll learn the secrets, curiosities and traditions related to the dishes we will prepare together. Taste of Italy opened its doors to gastronomes and Italian food enthusiasts in early 2007 and since then, people all over the world take a little of Bologna back home with them. You'll make your own dough from scratch, no machines. The Bolognese are able to tell the difference between hand rolled and machine rolled just by looking at it. We will show you how to tell the difference. You make the sauces; these are not pre-made. You receive the recipes of the dishes you've made for free. At other places you have to take notes or buy their cookbook! The menu consists of the dishes prepared in class plus snacks and something sweet at the end. Our courses are divided between Classic and Supreme cooking lessons. Below you will find a summary of our class offerings. If you would like additional information, please write us an email at the address at bottom of page. PLEASE WRITE FOR MORE INFORMATION. There are discounts available for children and groups of 4 or more. TRADITIONAL BOLOGNESE PASTA You learn how to make Bologna's famous cheese stuffed tortelloni as well as tagliatelle al ragu'. VEGETARIAN TRADITIONAL FRESH PASTA Sauces with seasonal ingredients. MOSTLY VEGETARIAN FRESH PASTA sometimes a bit of pancetta, prosciutto or speck can make a dish even better. 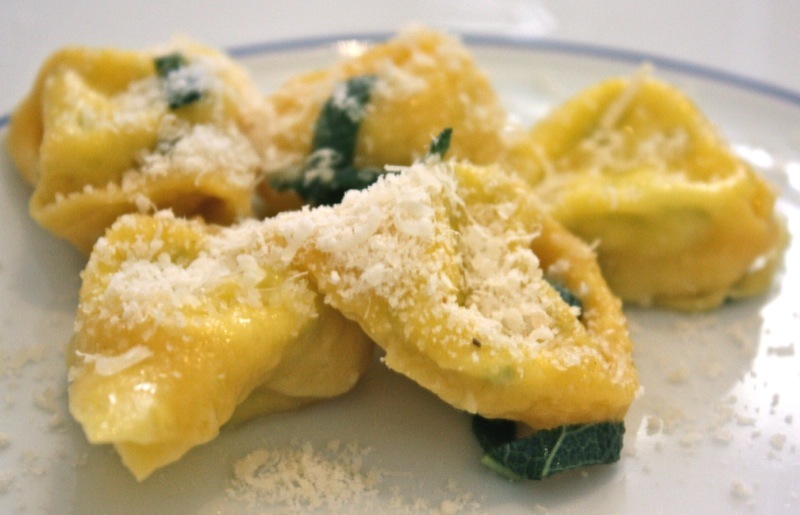 THE TORTELLINO You make the filling, broth, pasta dough and the tiny tortellino shape! TRADITIONAL COLORED PASTA Colored pasta is a Bolognese tradition that looks and tastes good. You will prepare several different, natural colored dough. GLUTEN-FREE PASTA Delicious egg pasta is within reach for everyone. CULINARY STUDENT WORKSHOP - a full-immersion lesson about pasta for Chefs or professional cooks. Did you know that this excellent cheese varies flavor, color and use according to its aging? You will prepare a menu based on this marvelous regional specialty made up of 3-4 courses. Can opt to make pasta or risotto in this lesson. Easy. Italy’s black gold is a precious and artisanal ingredient that can be used in many different ways. You will prepare a menu based on this magnificent regional specialty made up of 3-4 courses. Can opt to make pasta or risotto in this lesson. Easy lesson. Italian produce is incredibly varied and each season offers wonderful produce. Let the seasons be our guide to prepare dishes that are both easy and tasty; guaranteed to be a success among non-vegetarians! You will prepare a menu that will include 4 or 5 dishes, depending on the complexity of each dish. Risotto is perfect for cool weather and there are many versions of this marvelous dish. Available only from October through April. GNOCCHI - Its all about gnocchi. We make several types of gnocchi: potato, semolina and ricotta gnocchi. Available only from October through April. May through October are very busy months, please contact us as far in advance as possible to get the date and lesson you desire. An 48hr advance notice is greatly appreciated. The meal includes all the dishes prepared in class plus water and 1 bottle of wine for every 4 persons. Additional bottles are available at an extra cost. Chefs and Industry professionals are taught separately.